Do you know what Aluminium Composite Panelling (ACP) is present in your building and if it meets required standards? Do you have a plan to manage the risks if ACP is present in your building? And importantly, do you have an answer for your insurance company for policy renewals? Here’s all you need to know and what you can do next…. 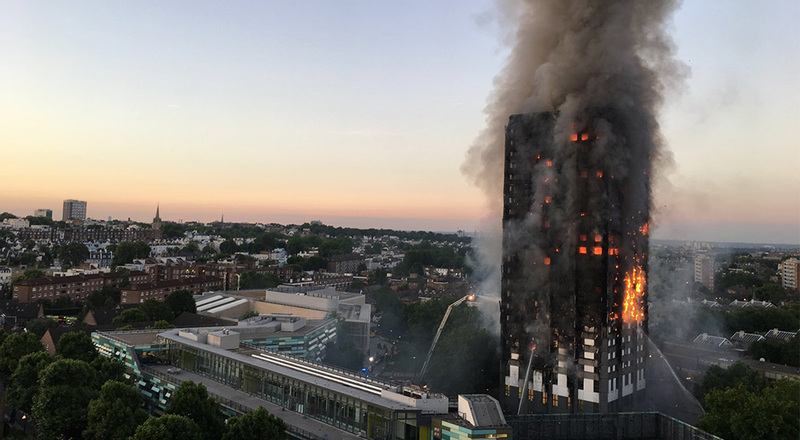 The tragedy of the Grenfell Tower fire has refocused the attention on the use of Aluminium Composite Panel (ACP) and the associated fire risk in apartment buildings across the world. The use of the product in Australia has been widespread, of particular concern is the use of non-conforming product. The impact on individual strata managers and their clients is expected to be far reaching – especially with regard to the legislative requirement for all strata titled buildings to be insured. The Insurance Council of Australia (ICA) has provided greater clarity on the expected response of the insurance sector. According to ICA spokesman Campbell Fuller, insurers might increase premiums or refuse to cover buildings that have non-compliant materials. “Non-compliance (with building laws) can put lives at risk as well as affect the insurance of the building,” Fuller said. The cladding in question is aluminium composite panels that have a polyethylene or plastic core and an aluminium coating. It is a cheap building material widely used worldwide to clad high-rise apartment buildings. These panels are lightweight, easy to install, and provide an attractive metallic building finish. The panels typically range from 4 to 6 mm in thickness, made up of two outer aluminium skins, separated by an inner insulating core. Unfortunately, the most common core material used in these panels is highly combustible polyethylene (PE) plastic. There are also fire-rated ACP cladding panels which have a mineral core, but there has been a lot of imported, lower-cost, non-fire-rated material used in the industry. It’s hard to tell the difference between the panels unless samples are taken and tested. If there is information on the exact product used this is also very helpful. There is a chance that some of these composite panels have been used in high-rise apartment buildings in Australia. The name of the building material used on the Lacrosse apartments was called Alucobest but there are other names. If your Owners Corporation knows these panels have been used in your building and fails to act, your insurer could refuse any damage claims resulting from fire. If you have doubts or concerns that the safety of the occupants in your building might be compromised by the use of flammable cladding, discuss with your body corporate manager to engage a building professional to give you advice. Report findings to the broker and make a plan to remove the safety hazard or mitigate the risk. WHAT IS COMPLICATING THE SITUATION? Are you covered if your building uses aluminium composite panels? Most Strata Schemes have limited knowledge or records of the materials used to construct their buildings. Body Corporate Managers have reported an increased number of requests coming from insurers asking for details of the construction materials on buildings. Without definitive answers to questions like – does the building have Aluminium Composite Panelling in place and if there is paneling in place, is it compliant with the current Building Code of Australia (BCA) standards? Today’s design and construct building environment and the associated subcontracting of construction elements, often means that very little traceable records of building materials are available for review. In these circumstances, the response from insurers is likely to be that they will assume that buildings do contain flammable, non-compliant cladding. Insurance premiums can be expected to rise, and rise significantly, in these circumstances.